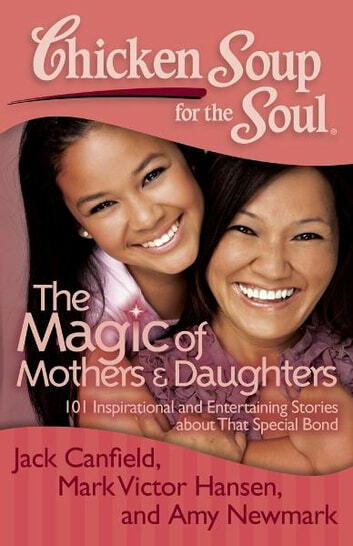 Chicken Soup for the Soul: The Magic of Mothers & Daughters celebrates that special bond mothers and daughters share with each other. Moms and daughters alike will delight in this collection of heartwarming, entertaining, and poignant stories. A great gift for Mother’s Day. Mothers and daughters. They are, at the same time, very similar and completely unique. This relationship - through birth, childhood, teen years, adulthood, grandchildren, aging, and every step in between - can be the best, the hardest, and the sweetest. Mothers and daughters will laugh, cry, and find inspiration in this collection of stories that remind them of their shared love, appreciation and special bond.